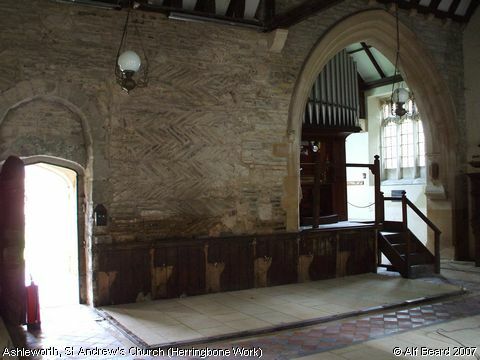 Herringbone masonry indicates this wall of St Andrew's Church is very old, being apparently a feature of late Saxon churches in this region - q.v. the ruined Edvin Loach, Old St Giles's Church in Herefordshire. Image contributed by Alf Beard on 9th September 2007.